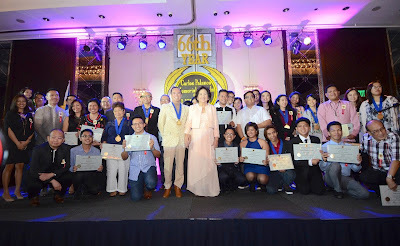 Carlos Palanca Memorial Awards for Literature (Palanca Awards) recognized fifty-one (51) writers in an awards night held at The Peninsula Manila Hotel on September 2, 2016 (Friday). On its 66th year, Palanca Awards received entries in 20 categories (minus the Novel and Nobela categories), which was judged by 57 respected writers, practitioners, and academics. Antonio “Tony” Mabesa, professor emeritus at the University of the Philippines, was honored with the Gawad Dangal ng Lahi for his six-decade contribution in the field of theater, as a multi-awarded actor, director, thespian, and teacher. Named after the businessman and philanthropist Don Carlos Palanca Sr., the Palanca Awards remains as the largest and the highest literary award-giving body in the country today.